The first forum of the GMES & Africa Support Programme is a communication platform that encourages and promotes the exchanging of views among Earth Observation service providers and end-users at the grassroots level in Africa. The first forum is being co-organised by the African Union Commission and the Government of Gabon and will be held from 19th to 23rd November 2018 in Libreville, Gabon. The theme of the first GMES and Africa Forum is “Unlocking the potential of Earth Observation as a key driver of Africa’s sustainable development”. Satellites are collecting huge volumes of high resolution images in real and/or near real time from space, and these have great potential to be utilised for different applications in the day-to-day activities of people in various sectors. Hence, the forum addresses how to unlock the potential of Earth Observation data in order to support socio-eco¬nomic transformation and the achievement of the Africa We Want, as articulated in Agenda 2063. It also discusses what the GMES and Africa Support Programme delivers to user communities in Africa. 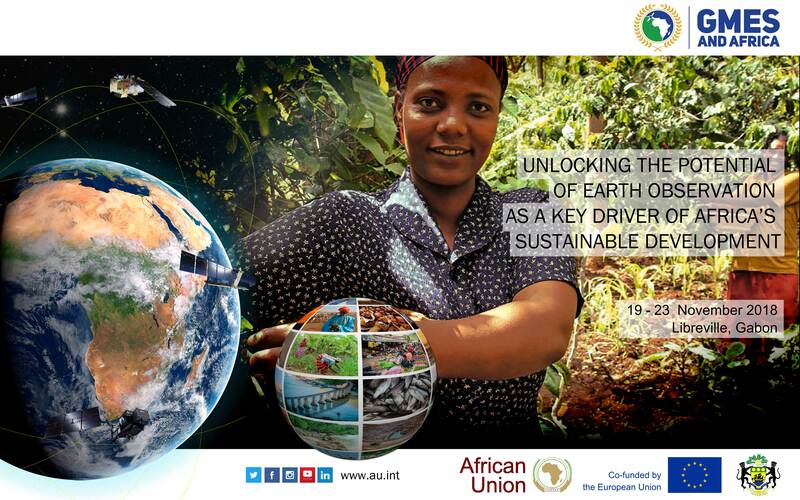 About 250 representatives from Earth Observation service and data providers, academia, the private sector and research institutions, including grassroots level users and decision makers, from 55 beneficiary African Countries and all over the world, are expected to attend the five-day event. The GMES and Africa Programme is an Earth Observation Programme co-financed by the African Union Commission and the European Commission. GAF AG has been providing consultancy services to the Programme since 2017 in the form of a technical assistance team consisting of long-term and short term experts. For more information, please see http://gmes4africa.blogspot.com/.